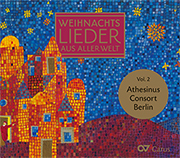 The Athesinus Consort Berlin, named after the composer Leonhard Lechner Athesinus (ca. 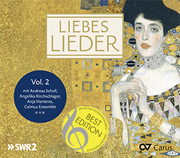 1553–1606), was founded by Klaus-Martin Bresgott in 1992. He has been the conductor of the ensemble since then. The ensemble, which usually performs as a double quartet and – when enlarged – as a soloistic chamber choir, rehearses and performs both a cappella and continuo literature of the late Renaissance and Baroque as well as modern and contemporary works, which regularly result in world premieres. 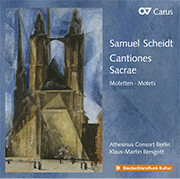 The ensemble members, all experienced concert singers who are also active in the Collegium Vocale Gent, the Chor des Bayerischen Rundfunks, the SWR Vokalensemble and the RIAS-Kammerchor, as well as on the stage of the Deutsches Theater Berlin, with Sasha Waltz & Guests and others, are united in their delight sounding out the verbal images of speech and suggestive arts. All of the ensemble members are active as soloists in addition to their activities in larger ensembles. The spectrum here ranges from Johann Sebastian Bach’s oratorios to experimental music of the 21st century. The latest successes of the ensemble include, among others, the world premiere of the music theatre piece Paulus. 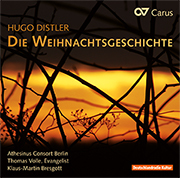 Das ängstliche Harren der Kreatur by Thomas Jennefelt in 2011, the world premiere of the tryptich Du bist mein Schlaf by Frank Schwemmer in 2012, the world premiere of Drei Gedichte von Rainer Maria Rilke by Jonathan Brell (*1987) in 2013, as well as the world premiere of Turbulent Days – fünf Spruchmotetten nach Martin Luther King und Martin Luther für 8–12-stimmiges Vokalensemble, Saxophon und Schlagwerk by Frank Schwemmer and Anyone can let you down – no one will let you down by Thomas Jennefelt in 2014. 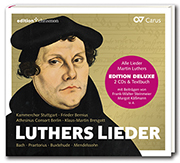 In addition to specific compositional focuses, the Athesinus Consort Berlin has committed itself to selected topics in which the texts are of definitive significance. 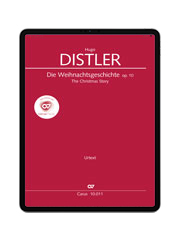 One emphasis is on the innumerable forgotten strophes of the cornucopia of German folk song. Classical concert principles recede into the background and make way for a more individual form of expression. Exemplary thereof are the collaborations with songwriters, jazz musicians, drummers and percussionists as well as dancers and pantomimes. Since 2010 the Athesinus Consort Berlin has regularly released CDs, including O Heiland, reiß die Himmel auf … vergessene Strophen der Weihnacht (2010), Signale ( 2011) w ith w orks by Michael Praetorius and Thomas Jennefelt or Boten ( 2012) w ith w orks b y J ohann A dam Hiller, Max Bruch, Hugo Distler and others. 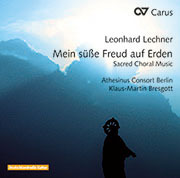 In 2013 Leonhard Lechner: Mein süße Freud auf Erden. 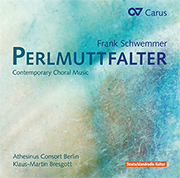 Sacred Choral Music was released (Carus 83.384; a tribute from the ensemble to the man who gave it its name – the works on this CD are also available complete as a music edition, Carus 4.022), followed by Frank Schwemmer: Perlmuttfalter. 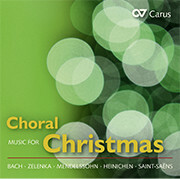 Contemporary Choral Music (Carus 83.464) in 2014.